In my never-ending quest to find a good workout class nearby, and with my heel giving me some trouble for the last several months when I run, I’ve gone back to two things I’ve loved for years but haven’t been doing recently, and it feels good to get back into both. I have been practicing yoga on and off for the past 10 years, at different places and with different instructors, but I took a break after the ill-fated pregnancy yoga class last October that ended in a trip to A&E and me not being able to walk for days. I decided it was time to try again, now that I’m not pregnant and therefore my joints aren’t as loose, and I’m carrying less weight and therefore not putting as much pressure on my knees. 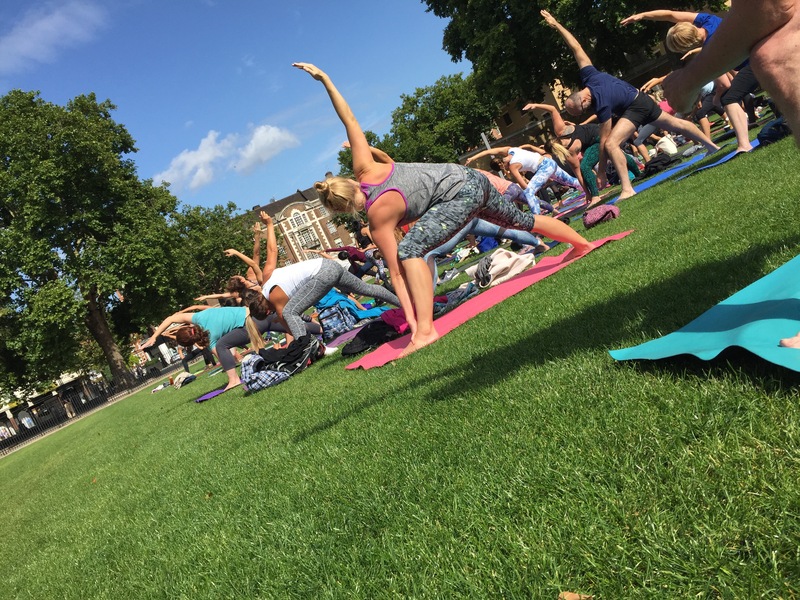 Over the summer, I really enjoyed the free outdoor yoga sessions on Sunday mornings at Duke of York Square. 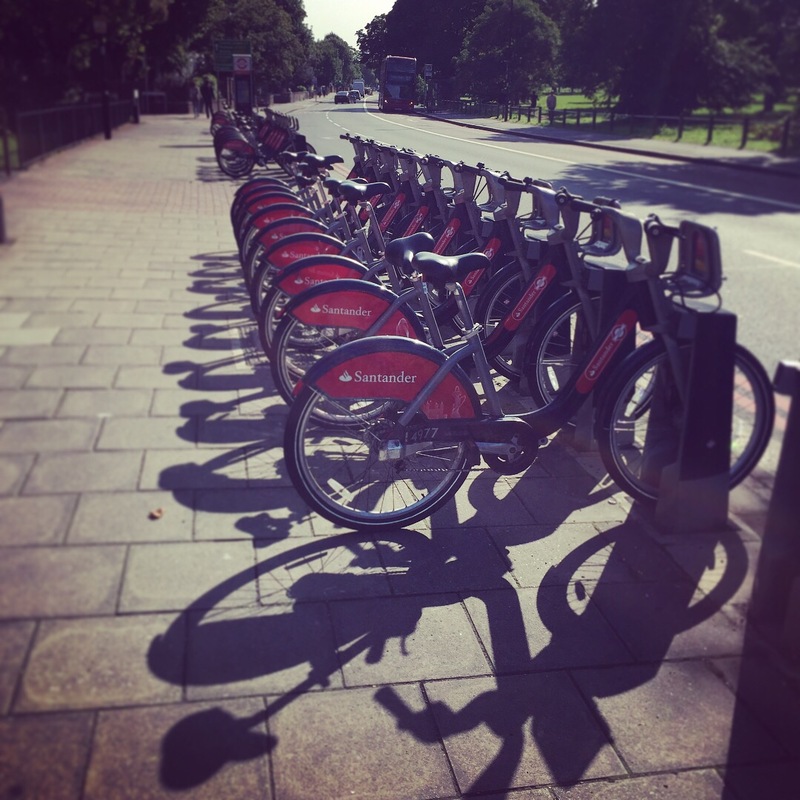 I would pick up a Santander, which is London’s bicycle-sharing “scheme” (also called the Boris Bikes), and ride to Chelsea for the hour-long session, which had a different instructor every time. That was great, but unfortunately, London weather being what it is, it was only offered in the summer. (Though today was an incredibly beautiful October day.) So now I’m going to a yoga class that meets in a church nearby on a weeknight. The other thing I’ve picked back up after a decade-and-a-half-long hiatus is tennis. I guess I was really inspired after Wimbledon, and so I signed up for a group class on Clapham Common. E was learning tennis too, as an after-school club at nursery and then one week this summer as a tennis camp, and I want to make sure I can keep up with my 4-year-old! The first couple of lessons I was really nervous, but the third lesson something clicked, and it was like muscle memory. I even started hearing my high school coaches’ old sayings in my head: “A double-fault is a quarter of your game!” “You’re playing off your back foot!” Wow, who knew how ingrained that stuff was in there? I’m hoping to continue with both yoga and tennis, but for tennis lessons there’s a break over the winter. I made a friend in class, though, and we’ve been booking courts to practice together pretty regularly. 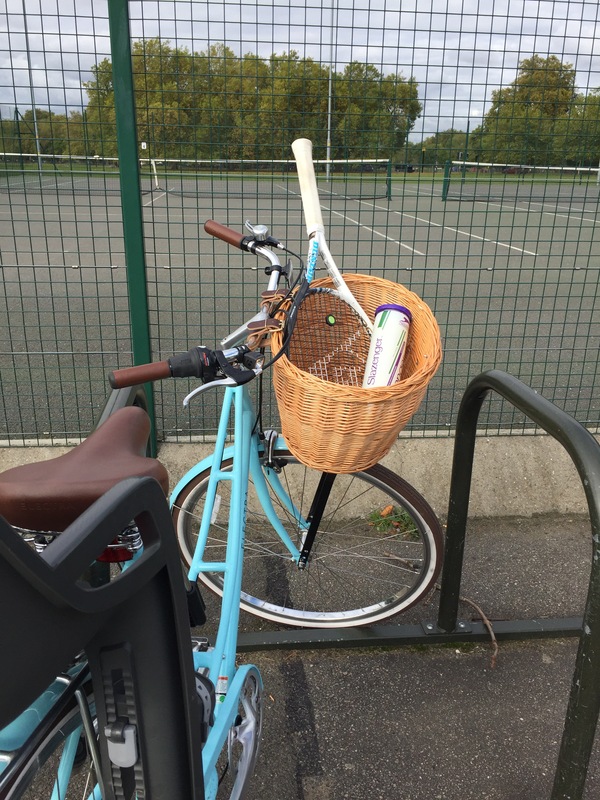 There are a lot of women in my area who play tennis socially, so it would be nice to get in with a group who are up for a little matchplay and socialisation next spring. I’ve upgraded from the Santander bike share to this beauty, which M was happy to add to our fleet of pedal-powered wheels. There’s a group of women at E’s new school that hold women’s-only bike rides around London streets and parks, so I’m thinking about trying one of their 10-mile rides soon.